“Oh, how the mighty have not fallen,” said Alan Feuer in The New York Times. In the past six months, the courts have overturned corruption convictions for former New York State Assembly Speaker Sheldon Silver and former Rep. William Jefferson (D-La.). Now it is Sen. Bob Menendez who has walked away from graft charges. The influential New Jersey Democrat stood accused of using his official power to help a friend, Dr. Salomon Melgen, in an $8.9 mil lion billing dispute with Medicare in exchange for lavish gifts and about $750,000 in political donations. But the months-long federal corruption trial ended last week in a mistrial, after jurors failed to reach a verdict. Sadly, the Supreme Court has “created a world where most corruption is no longer illegal,” said Will Bunch in Philly.com. When the justices overturned former Virginia Gov. Bob McDonnell’s bribery conviction last year, they set an “impossibly high standard” for graft. Unless there is an explicit quid pro quo in writing or on tape, it’s not illegal for a politician to accept expensive gifts from friends and supporters whose causes they then happen to champion. 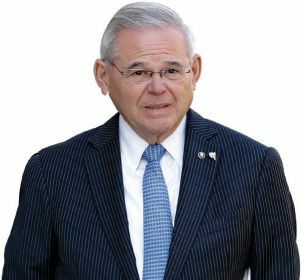 The Menendez case seemed “ripe for prosecution,” said Robert Mintz in the Newark, N.J., Star-Ledger. Melgen, a wealthy ophthalmologist, treated the senator to multiple private jet flights and stays at his Dominican Republic vacation home. Menendez not only called the Health and Human Services secretary over Melgen’s Medicare reimbursements, he even helped obtain visas for his pal’s three young foreign girlfriends. But Menendez and Melgen are “long-standing friends,” making it hard to know “where friendship ends and corruption begins.” Prosecutors claimed Melgen showere d the senator with a “stream of benefits” on the “unspoken understanding” of reciprocal action—a shaky legal gambit that 10 of the 12 jurors rejected.